Though the real estate market remains cold, more and more real estate trading floors have been born recently, leading to the fact that markets lack commodities. On January 10, 2009, the first real estate trading floor in the central region was set up, run by Cuong Hung Thinh Group. Prior to that, on December 23, 2008, RESCO launched its real estate trading floor at No. 41 Suong Nguyet Anh Street in district 1, HCM City. Many other real estate trading floors had been put into operation before, including the ones run by Asia Commercial Bank’s Real Estate Company (ACBR), Nam Long, Thu Duc Housing Development and Nam Viet. Pham Van Hai, General Director of ACBR, said that besides land, apartments and houses in old urban areas, in 2009, ACBR will also seek business opportunities in project land. 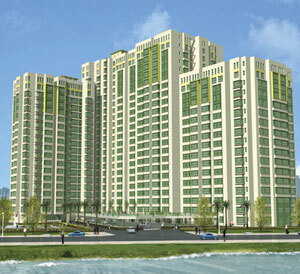 Hai said that a lot of real estate project owners have come to discuss marketing to sell products at ACBR. The projects need to have transparent legal status, while the projects’ owners need to have prestige to be eligible to have their products transacted on ACBR. Some real estate projects’ owners have their own real estate trading floors. However, the floors not only sell the products of the floors’ owners, but also other commodities as well. Nguyen Xuan Chau, Chairman of Nova, a real estate trading company, also said that previously, his company mainly did the marketing for the company’s products. However, he has decided to ‘contact’ many other projects in order to diversify the commodities of the trading floor. According to Truong Thai Son, Deputy General Director of Hoang Quan , Hoang Quan trading floor has joined forces with some other big floors nationwide in order to provide updated information to clients and diversify commodities. A lot of real estate projects kicked off construction in the last weeks of 2008. However, the projects will only provide products as of 2010 or 2011. Meanwhile, the products being offered on floors mostly belong to old projects. “Some projects’ investors have visited the floor, but they just sought to understand the conditions for marketing products, as the projects will only be kicked off in mid-2009,” Hai said. Experts said that the market still lacks commodities. A lot of trading floors have been set up recently as the laws require real estate developers to have their products transacted on trading floors. However, as the market remains frozen, trading floors cannot find clients. 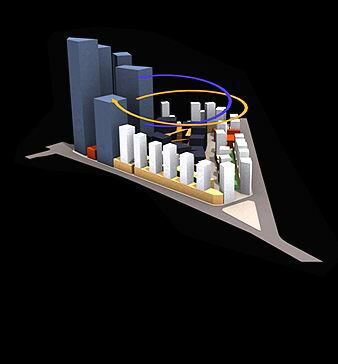 The network of real estate trading floors has gathered 115 members, but problems still exist. After one year of operation, the content of the websites have not been improved considerably. 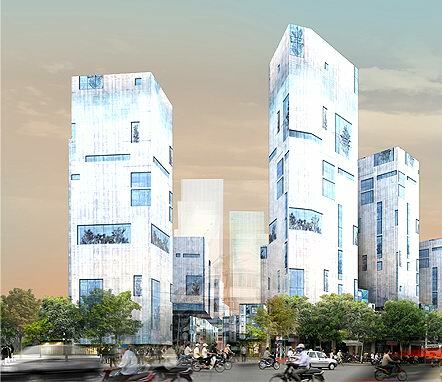 A Foster-designed tower in Vietnam has been put on hold, taking the architect’s tally of mothballed schemes to three in just a month, Building has learned. 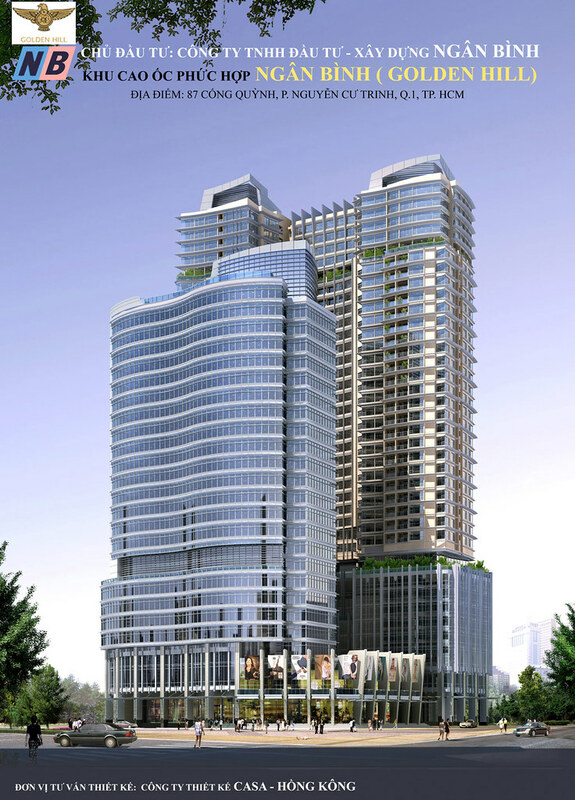 Developers behind the $120m (£78m) River Tower in the southern city of Ho Chi Minh said the project had been put on ice due to market conditions. 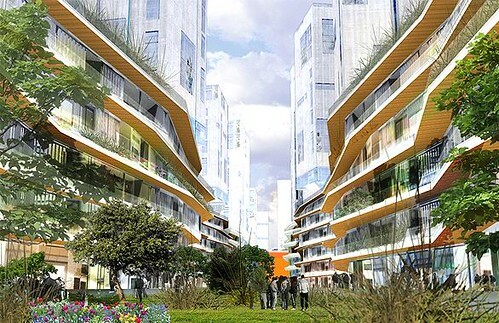 The office scheme – a collaboration between German developer FOM Real Estate and Israeli investor Igal Ahouvi in the city’s District One area – was expected to be between 30 and 40 storeys high. Construction was due to start at the beginning of next year. 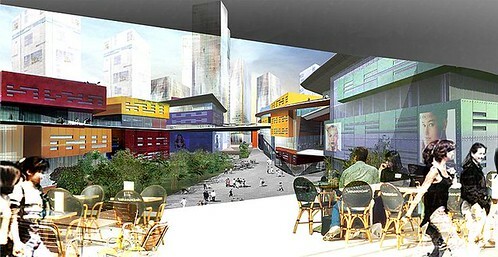 UK consultants Gleeds and Buro Happold are also on the project team. 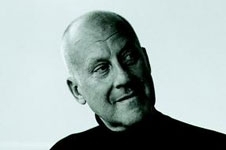 The news will be a blow to Foster + Partners, which has seen two other international projects fall victim to the credit crunch in recent weeks. Work on the £600m Russia Tower in Moscow has reportedly been stopped more than a year after the first stone was laid, and plans for the tallest building in Ireland, Dublin’s £162m U2 Tower, were shelved at the end of October. Vietnam, which relies heavily on revenue from exports, has been hit hard by the global downturn. The government has warned that foreign direct investment could fall by as much as 50% next year, and economic growth is expected to fall to 6.5% this year and next, down from 8.5% in 2007. The developers – operating through special-purpose vehicle Tarcon Company – were understood to be planning many more commercial and residential joint projects. 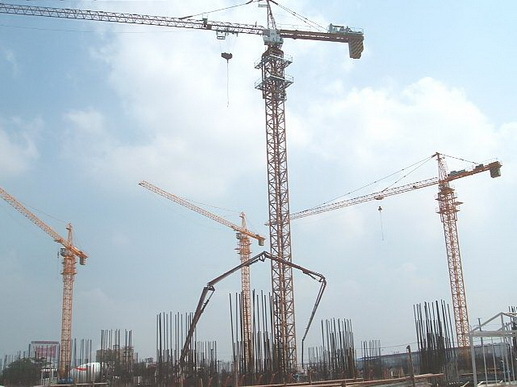 Binh Minh Import-Export Production and Trade Company (Bitexco) has received financial support from local banks to start site clearance and compensation for a major property project named Nguyen Cu Trinh Quadrilateral, better known as Ma Lang, in HCMC’s District 1. Vietnam Real Estate – The cooling real estate market has not hindered foreign investors from pouring money into resort and hotel development. The potential recently saw Vietnam-Spain Consultants Company (VS Consultants) signed a memorandum of understanding to buy 20 per cent, or six million shares priced at VND18,000 ($1.06) per share of local Vinaconex Investment and Tourism Company (Vinaconex ITC). VS Consultants has also poured money into building some parts of the Cai Gia-Cat Ba tourist urban area, the biggest tourism project in northern Vietnam, which is being developed by Vinaconex ITC. The project comprises modern villas, an international convention centre, underwater palace, beaches, trade centers and highclass hotels. The State Reserve Fund Oman (SGRF) had previously also invested $20 million in the project. 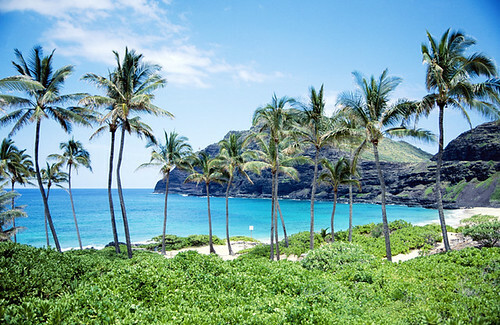 Vinaconex ITC general director Tran Ngoc Quang said although the current cooling real estate market was clearly seen in the land and apartment segments, supply for tourist resorts, offices and industrial parks could not meet demand. 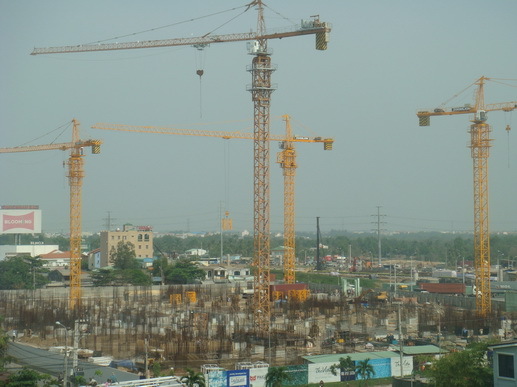 General secretary of the Ho Chi Minh City Real Estate Association, Do Thi Loan, said foreign investors had also been interested in building trade centres in Vietnam. Demand for these centres was predicted to be much higher in the next few years after Vietnam opens up its domestic market for the establishment of 100 per cent, foreign-owned distribution firms from January 1, 2009. VinaCapital is to raise another real estate investment fund which will issue shares worth up to $400 million and is scheduled to start operate in early 2009 to prepare for investment opportunities in the Vietnamese market. David Blackhall, VinaCapital deputy managing director, said foreign investors were interested in Vietnam`s real estate market and had prefered building unlisted investment funds in the country. There would remain difficulties in the local real estate market in 2009, but it would recover and grow again in late 2009, Blackhall said. According to the projection of AIC general director, Gary McKinnon, construction costs would continue to decrease in the first quarter of 2009. Investors were also forecast to enjoy greater access to bank loans with lower interest rates.Land and house prices in major cities has so far declined by 40 per cent from early last year. Vietnam Real Estate – Starting today, foreigners who meet specific eligibility criteria can own apartments in Vietnam under a National Assembly resolution ratified last May. 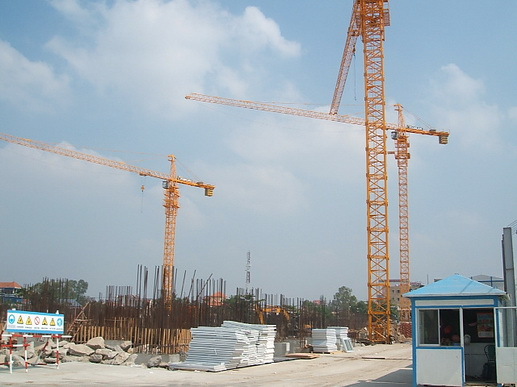 According to the Construction Ministry, around 10,000 of 80,000 foreigners living and working in Vietnam are eligible to buy property, specifically apartments in commercial housing projects. The resolution stipulates five groups of foreign individuals and organizations that are eligible to own houses in Vietnam for terms of up to 120 years. These include individuals who invest directly in Vietnam or who are hired for management positions by local or foreign-invested companies in the country; foreigners who receive certificates of merit or medals from the president or government for their contributions to the country; foreigners who work in socioeconomic fields, hold a bachelor’s degree or higher and who possess special knowledge and skills that Vietnam needs; foreigners who are married to Vietnamese residents; and foreign-invested enterprises operating in Vietnam that need to buy houses for their employees. Most foreigners working in Vietnam currently have to hire apartments at high rents of between US$600 and $1,000 per month. Lawyer Nguyen Van Hong, who works as a legal consultant for an Australian company in Hanoi, said many of his foreign friends had recently asked him to help them to buy an apartment. Director Tran Minh Thong of a property company in Hanoi also said many foreigners have asked to buy apartments at the Trung Hoa – Nhan Chinh residential zone in Cau Giay District. Experts said the move to allow foreigners to own apartments and other social housing projects could have positive impacts on the property market which has slowed down recently. The resolution is among several documents that will take effect today. In the economic sector, wholly-owned foreign firms are allowed to join the local distribution and retail market from today under Vietnam’s commitment to the World Trade Organization. Also from today, local enterprises start to pay lower corporate tax of 25 percent, down from 28 percent. They are also allowed to pay tax later than previously. The personal income tax law will also take effect from 2009, which stipulates that the taxable income threshold is VND4 million ($238) monthly for both locals and foreigners working in Vietnam, with taxpayers allowed deductions of VND1.6 million ($95) for each dependent. In social sectors, the government starts to provide unemployment insurance under a decree that stipulates that Vietnamese employees who have signed contracts of a least a year will be eligible to get unemployment insurance and will receive compensation of 180 percent of a month’s salary for each year they have worked when losing her/his job.. Under a decision by the Prime Minister, civil servants and soldiers who have low incomes will be paid a monthly support of VND360,000 ($21) apiece in the first four months of this year. The basic salary at state-owned enterprises will be increased to between VND650,000 ($37) and VND800,000 ($46), from between VND540,000 ($31) and VND620,000 ($35), while those of FDI enterprises will be increased to between VND920,000 ($53) and VND1.2 million ($69), from VND800,000 ($46) and VND1 million ($57). In HCMC, the new land price adjustment will be implemented from today, with the highest price in District 1’s Dong Khoi, Le Loi and Nguyen Hue streets rising to VND81 million ($4,600) from VND67.5 million ($3,860) per square meter, while the lowest price is in Can Gio District’s Thieng Lieng residential area at VND110,000 ($6.30) per square meter. Registration fees for cars with less than ten seats in HCMC will rise to 10 percent up from 5 percent. 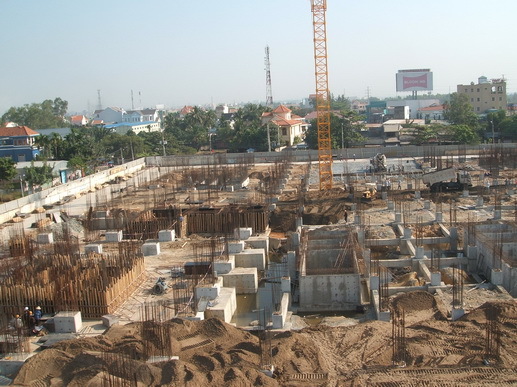 Vietnam Real Estate – Golden Hill buildings complex, designed by Hongkong architects and experts, was Ngan Binh Investment-Construction Co. starting construction on 18-07-2008 with a total capital of phase 1 nearly 1.650 billions VND. The project was built in the city center, No. 87, Cong Quynh Street, Nguyen Cu Trinh Ward, District 1, Ho Chi Minh City with an area of 8.320m2. The project is divided into several stages, Phase 1 will build 2 blocks with 35 storeys high and 4 to the basement apartment around 400 high-class apartments (area from 90m2 to 350m2/apartment). Golden Hill will include the commercial center, regional offices for rent and apartments. This project is funded by the Hochiminh Development Bank (HDBank). Estimated the building will be completed and put into operation in late 2010.